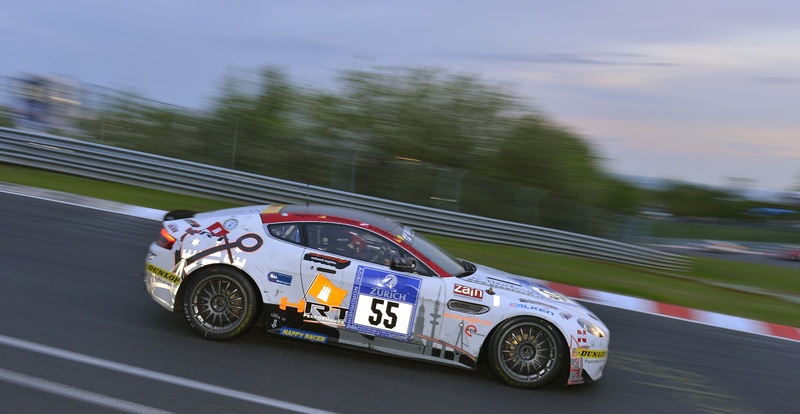 Axis Of Oversteer: 2012 Nurburgring 24 Hours, the inside line. 2012 Nurburgring 24 Hours, the inside line. Axis brings you racing from the inside. Our Bolognese friend Sergio Negroni is a veteran of the ADAC 24 Hour Rennen at the Nürburgring, Italian GT racing, VLN and is the current Blancpain Endurance Series GT3 Champion but really, just another tracktard like you and I. 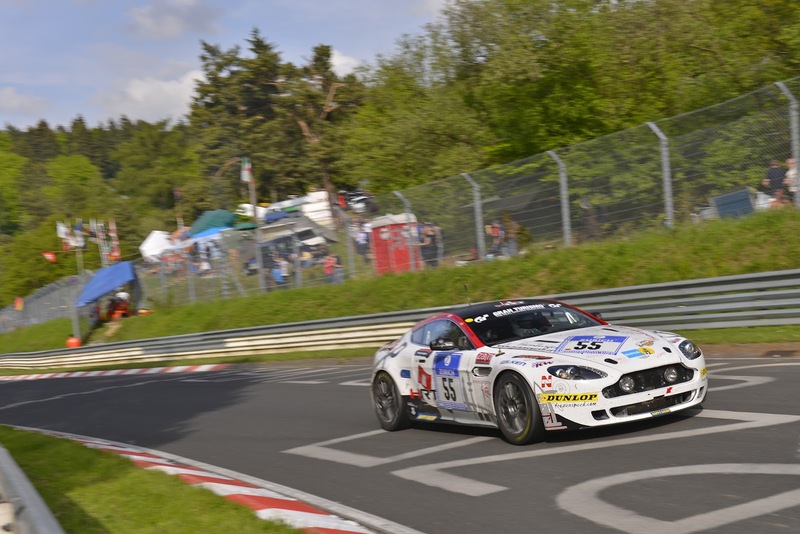 The 2012 edition of the ADAC 24H Rennen was my sixth time at the Nürburgring classic. 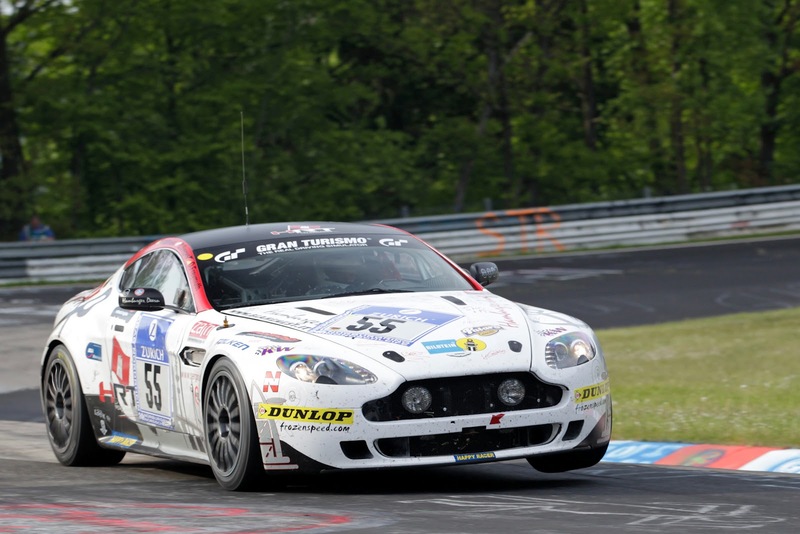 The original plan for this year was to field my own 2011 Porsche GT3 Cup, but last minute logistical issues let us to a last minute change to an Aston Martin Vantage GT4. 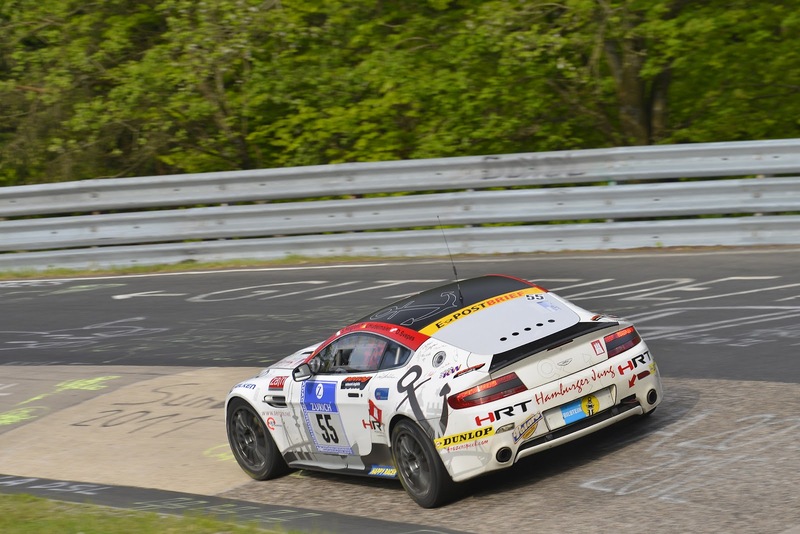 The Vantage was impeccably prepared by Hamburg's Team HRT. 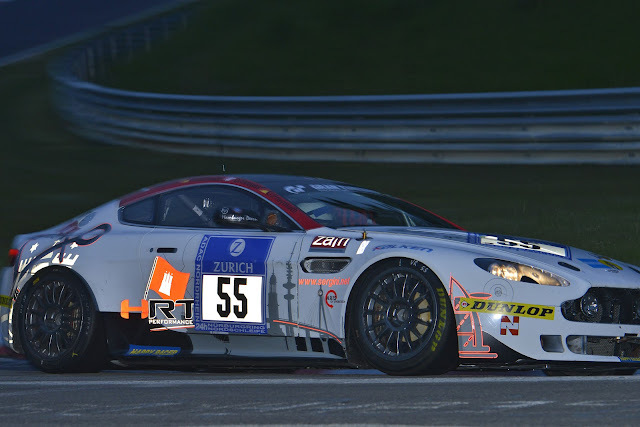 HRT is an official Aston Martin Racing team with vast experience in endurance races like the N24 and the Dubai 24. HRT entered three Vantage GT4. 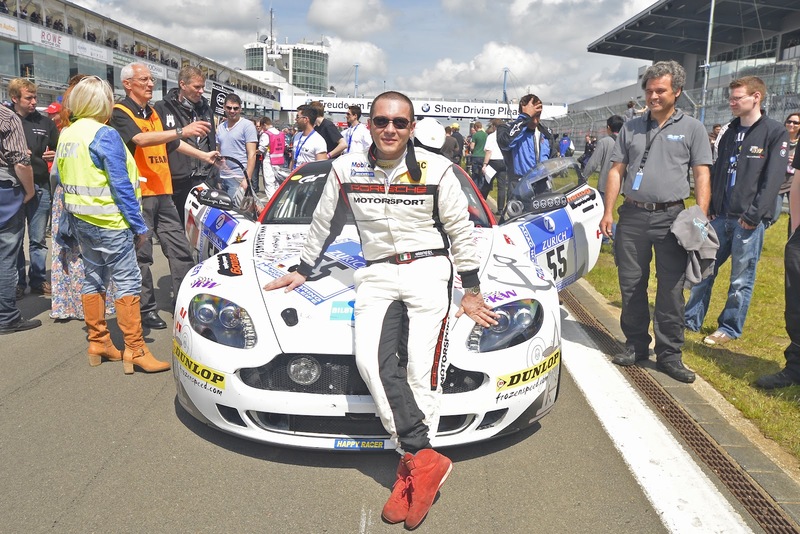 In number 55 along with me, my VLN and 2011 24H mate Jochen Hudelmeier, Gerrman Carrera Cup driver Dieter Speves and Porsche Supercup and Megane Euro Championship's Oliver Freymuth. 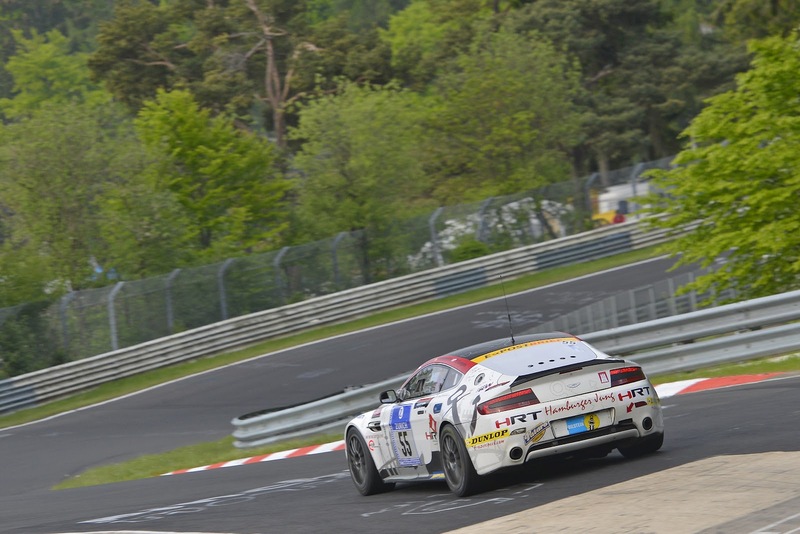 We all had prepared in VLN with 911's so some quick recalibration was needed. We all agreed the Aston was fast, easy to drive, direct and most important, reliable. 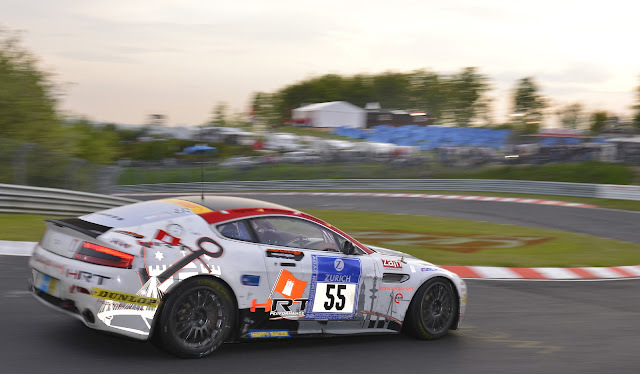 The two other HRT cars were driven by the young and fast Kim Hauschild with Karl Pflanz and two Americans Victor Rice and Shane Lewis and an all Argentinian team led by FIA GT1 driver José Balbiani. Fresh off my first place in the 2011 Blancpain Endurance Series GT3 Cup championship and many good results on the Nordschleife, I felt quite confident: strong team mates and a car prepared to a fanatical German standard. 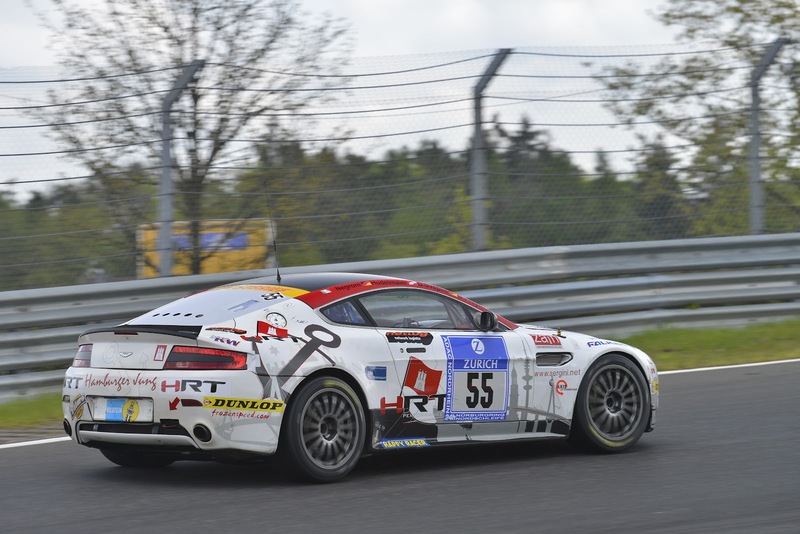 From practice and qualifying it was evident there would be serious hand to hand combat in the top SP9/GT3 category for the overall victory. Being used racing in faster cars, I had to adjust to checking the rear view mirror more often as top cars seemed to just materialize behind and had zero patience with slower traffic. With over 200 cars entered it was almost impossible for anyone, fast or slow to get a clean lap. This is typical of this type of racing. We qualified decently and decided I would do the third stint, sometime around 6:30 PM and again around midnight. 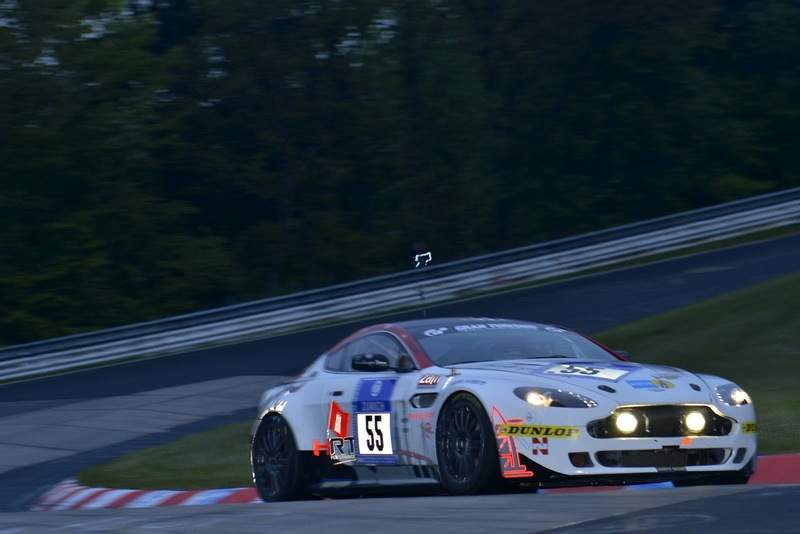 The banzai, take no prisoner driving in the top SP9/GT3 class wasted no time claiming illustrious victims. Just a few laps into the race rear right tires begin to fail on a number of top cars (ed: notably on Bleekemolen's SLS) this because of debris on the track but also from aggressive camber settings needed for fast laps times. During the 8 laps of my first stint I was never able to complete a single lap without encountering marshals waving yellow flags ahead of bad accidents blocking the track. On lap 2 I found the Gamballa Mclaren of Klaus Ludwig, destroyed at Flugplatz, then a completely destroyed Audi R8 at Wehrseifen, a third crash at the Karussell and so on and so forth. 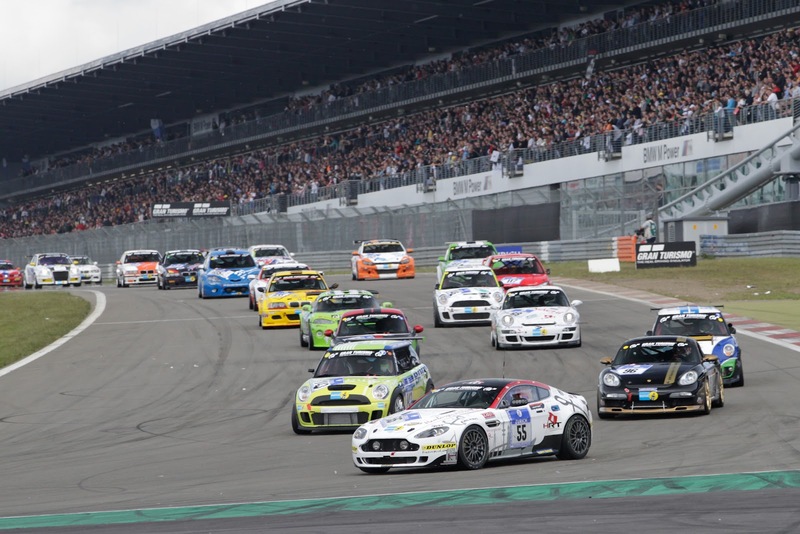 All these accidents, I believe, were caused by GT3 cars attacking the 24 hour race as if it was a single make, 30 minute race with 20 cars entered. This is the trend now in endurance racing, lap times in the race are essentially the same as in qualifying and the top cars, to keep this pace, have to take risks, often very heavy risks to pass slower traffic. In years past, an overtaking car would make its presence known at night with a quick flash of the high beams. Now it's high beams on all the time and get out of my way. In a race where speed differences are enormous and open to "Gentleman drivers" some with very limited experience, it's no surprise many of the accidents involved a fast and a slow car. It's late night and I'm in the pits, ready to go for my second stint but the car is late. You guessed it, it had come together with and SP9 car who could not wait for the one line through at Pflantzgarten and ended up punted in the gravel. The Aston was stuck in the trap for a half hour before help arrived and dragged it out and brought back to pit lane for repairs. Bodywork and alignment fixed I hop in for my second stint of what would be the nine longest laps of my career! I've raced the 'Ring at night many times and I know it well, I'm not usually concerned but this time it was truly dramatic. After a few laps I find myself alone at Flugplatz, with just my own headlights to illuminate the black asphalt. Right as I upshift to 5th in the first kink the car suddenly oversteers. a quick correction but the front loses grip as well and I see the guard rail looming. I catch it with two wheel on the grass, a close call. I can't figure out what happened, it's not raining. Maybe someone dropped fluids and marshals had not noticed in the darkness, not a good thing on a fifth gear full throttle turn! I drive on towards Schwedenkreuz slowly. Behind me, other cars who had the same problem lined up like people do on foggy highways hoping whatever will happen will happen to the guy in front, unfortunately in this case, me! The following lap, with more light I realize the track was wet, it had rained just on the 700 m. stretch and nobody had realized it! They don't call it Green Hell for nothing. It was a lucky escape, I decide it wise slow my pace as the race is turning into a demolition derby. The Aston is working fine, it has a great motor and is a pleasure to drive (if not quite as communicative as my GT3). We are 6th in class despite the 1 hour lost because of the accident but it's a long race and we planned on pushing with daylight. I finish my stint around 4 AM and get some rest, my next turn would be around 8 AM. As I wake I'm greeted by an SMS saying that on a damp track, running slicks one of my mates had written off the car. Game Over. That's the way it is in endurance but I'll be back, plans for the 2013 Nürburgring 24 H are already starting! 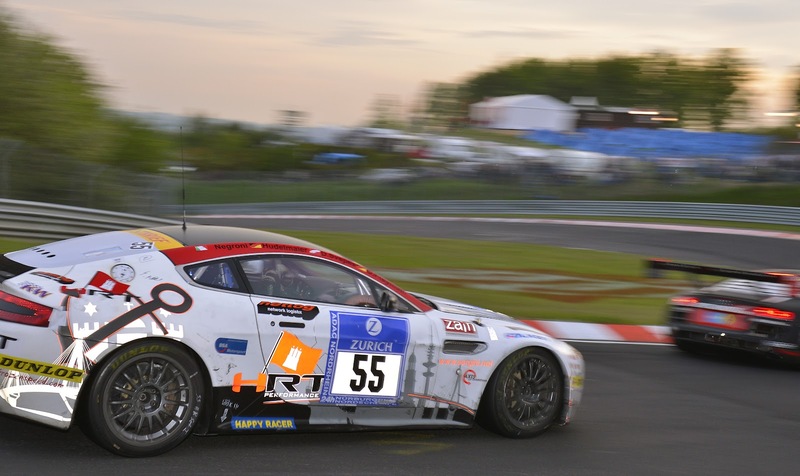 It was a GT3 Aston who caused the crash?! It's the first car that pass after the crash in the video.